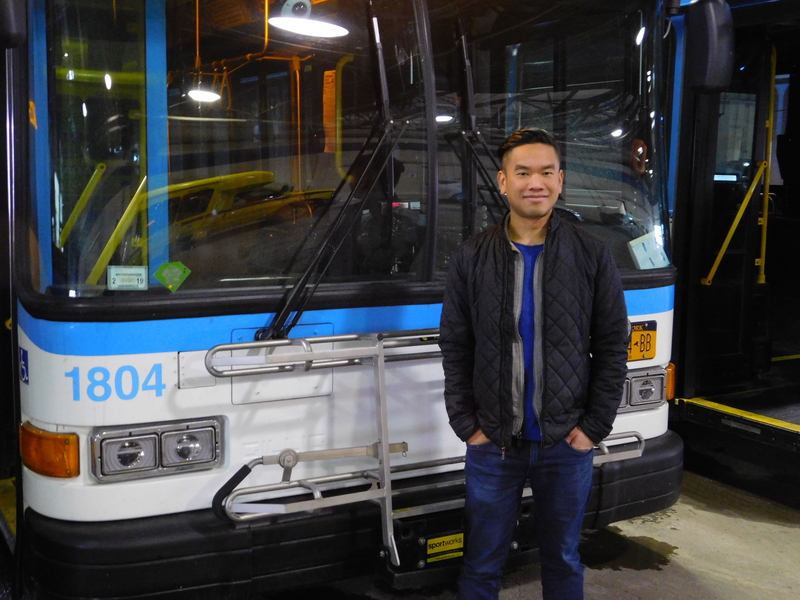 Community leader Ducson Nguyen took over as chairperson of the TCAT Board of Directors at its first meeting of the year Thursday night with a promise of “significant, but exciting challenges” ahead as the transit agency ramps ups to expand, improve and meet the demands of the future. Nguyen, a software engineer and Ithaca Common Council Alderperson – 2nd Ward, has served on the TCAT Board of Directors for the past three years at the recommendation of the City of Ithaca. He replaces Frank P. Proto, long-time TCAT board member, who served as chairperson in 2018. Proto will continue to serve on the board at the recommendation of Tompkins County. Nguyen said the board’s focus in 2019 will be on TCAT’s recently unveiled strategic plan that outlines both short- and long-term steps the agency needs to take for improved, integrated and expanded public transportation in Tompkins County over the next two decades. Those plans include finding adequate space to house TCAT, which has outgrown its facility at 737 Willow Ave. Additionally this year, TCAT plans to replace its 10-year-old farebox system and add three electric buses to its fleet, Nguyen noted. At Thursday’s meeting, the board also welcomed three new members to include Deborah Dawson, Tompkins County Legislator, District –10, recommended by Tompkins County; Laura Lewis, Ithaca Commons Council Alderperson, 5th–Ward, recommended by the city; and Gary Stewart, Associate Vice President/ Community Relations for Cornell University, recommended by Cornell University. They three new members replace Peter Stein, Bill Grey and John “Gutie” Gutenberger, who finished their terms at the end of last year. The TCAT Board of Directors is structured as follows: The City of Ithaca, Tompkins County and Cornell University are TCAT’s local underwriters. TCAT was established as a joint venture of transit agencies from each in 1998, and later became a private, not-for-profit corporation, effective 2005. As such, each underwriter is entitled to nominate three people to serve on the board. Those recommended, in turn, are considered for election by the TCAT board and, in their capacity as TCAT board members, serve TCAT independently. Executive: Nguyen (chair), Brady, Klein, Proto; Transit Service: Thompson (chair), Dawson, Dotson; Budget: Brady (chair), Dawson, Dotson; Human Resources: Nguyen (chair), Klein, Lewis, Stewart; Planning: Klein (chair), Lewis, Stewart; and Audit: Proto (chair), Nguyen, Thompson. In addition, Thompson will serve as liaison to the TCAT Riders’ Advisory and Accessibility Committee.